We are elated to introduce you to our next finalist from the #NextLadyLegends campaign! We will continue to release interviews for each finalist every few days, so check back in! Beginning the week of March 20th YOU will have your chance to vote for our NATIONAL WINNER! Read more about this campaign here, read ALL of our finalist interviews here and check out the action on twitter using #NextLadyLegend. Imagine yourself stepping up to the plate in the sweltering heat of California’s central valley. The air is dry as the sun bears down upon you. Your eyes struggle to focus on the pitcher as the heat transforms into waves that blur your vision. 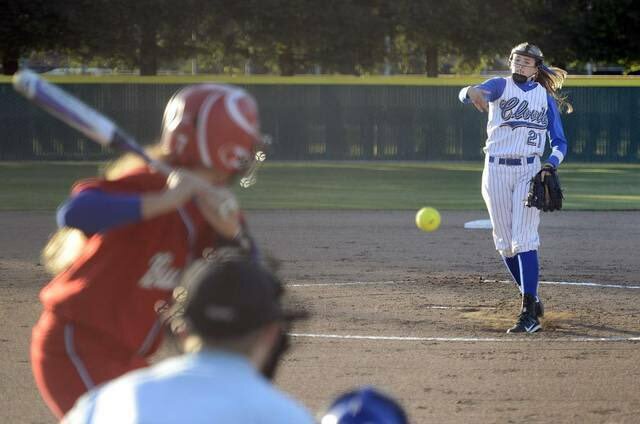 You coil up and prepare to swing as the pitcher begins her motion. All of a sudden, BAM, you hear a smack against the back of the catchers mitt. The umpire calls a STRIKE, then another, and in a short time you’re nothing more than another tick in Danielle Lung’s strikeout count. On any given day, this is the real life scenario for batters that face Lung in the pitchers circle. Last year she averaged 10 strikeouts a game and had a staggering 1.05 era. In between innings, ScoreStream was able to catch up with the Clovis high school star and ask her a few questions in our next #NextLadyLegend‘s Finalist’s Q&A. DL: I began playing sports when I was about 5 years old. My mom enrolled me in an indoor soccer league and ever since then I have been infatuated with sports! I’ve played soccer, volleyball, basketball, track, and softball. Needless to say, I liked softball the most so I stuck with it. SS: What do you think of when you think of Women’s History Month♀? DL: When I think of women’s rights, I reflect on how much more women are allowed to do today compared to in the past. I also think about how women today are constantly accomplishing amazing things that people in the past never imagined we could do. DL: Jeff Theisen! He is the coach that I would say has without a doubt influenced me to most! He was my soccer coach and asked me one day if I was interested in trying softball. I decided to give it a try and loved it! He also coached softball and became my coach shortly after. From there he was responsible for getting me into pitching. SS: If you were going to choose one emoji to describe yourself/team, what would it be and why? DL: I would have to choose 😼 because we are the cougars and we are intimidating, Rarrrr!!! You can follow Danielle on twitter @DanielleLung and check out her softball highlights on hudl. 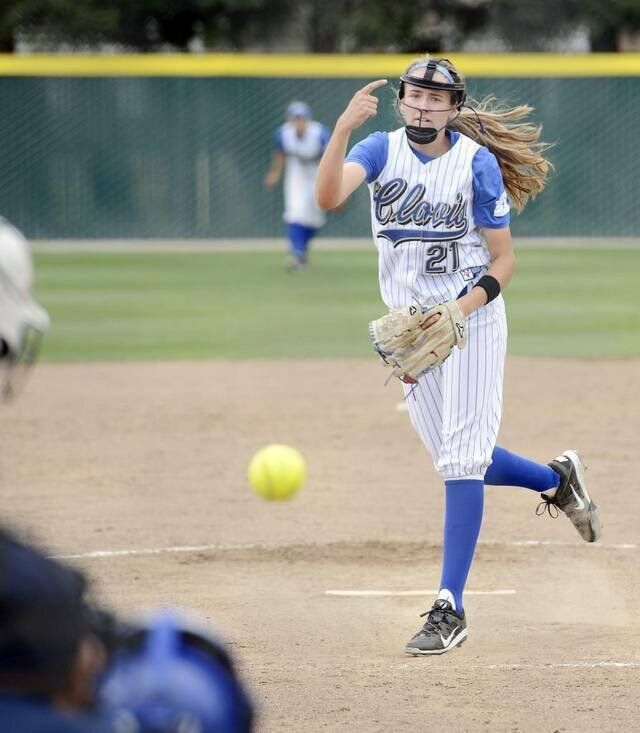 Don’t forget to keep up with her games for Clovis High School, scores, and highlights this year on ScoreStream.